I haven't created a post on this blog all year, and this week in the EduMatch Voxer group, I pledged that I would create a post this weekend. So keeping true to my pledge, I had to spend a bit of time to think about what I was going to blog about. I have several things that have been on my mind to blog about...computational thinking, MakerEd and Passion Time, the Positivity Project, my first full year using See Saw, etc. However, then I really started to reflect on the entire week, and I realized it was very STEAM (Science, Technology, Engineering, Arts, and Math) infused! 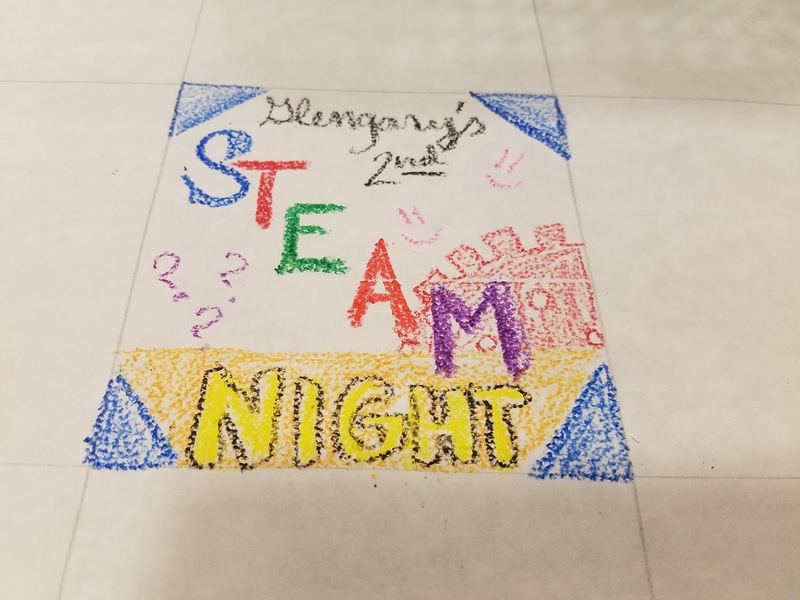 So, for my first post of the school year...I am going to highlight the fun we had with STEAM this week at Glengary Elementary! This is the first year our district adopted the new NGSS Science Kits from FOSS. I have to say, I have been really impressed with the upgrade and the quality of each of the kits we have had this year. Our final kit has not disappointed! Last week we engineered spinning tops and collected data on different variables tested. In addition, we created collaborative table art with the Doodle Tops. This week we continued with the engineering practices with cart designs. The students learned about criterion and constraints as they created a cart that could move from here to there. 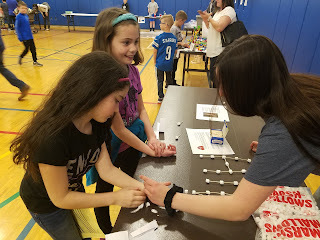 It was super awesome to see the unique ways students used the materials given and experience their problem solving and teamwork. We are so incredibly blessed to have Mrs. Colwell lead our music programs at Glengary. 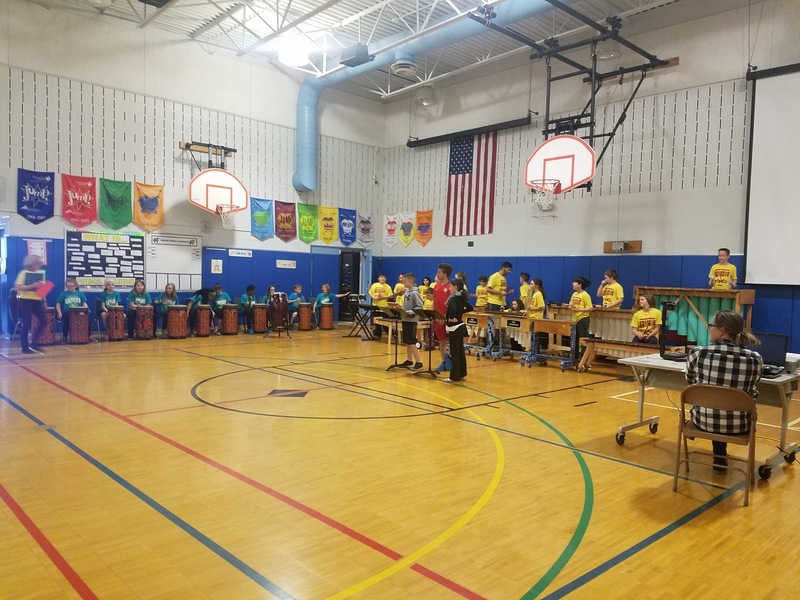 She has created one of the only elementary based marimba groups in our state, and she is really giving our 4th and 5th graders such great exposure to percussion skills and diverse music experiences. She was even able to get her husband to make several of the marimbas they use, which is amazing! 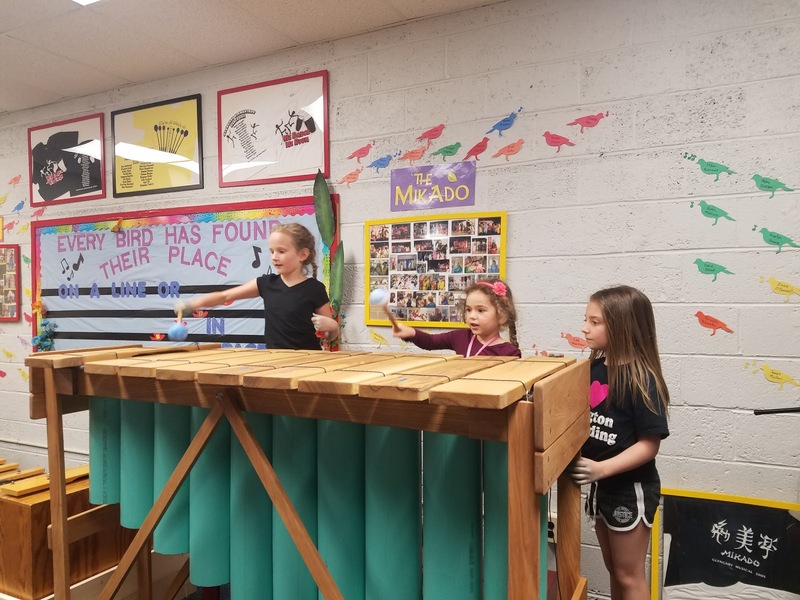 During our Family STEAM Night they both opened up the music room and allowed families to play the marimbas and learn how they are engineered to make the sound they do! 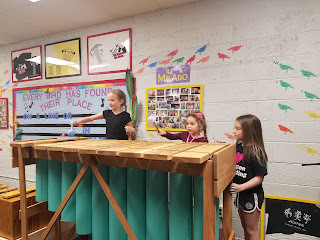 These girls love playing the giant marimba...I am not going to lie...so did I! 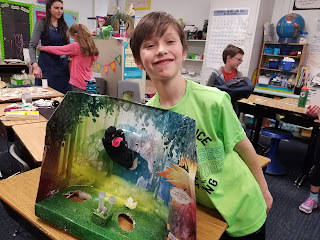 This student used the packaging from a toy to create a puppet stage and made sock puppets to be the actors. So fun!! Typically on Fridays my class has the opportunity to explore their interests during Passion Time. 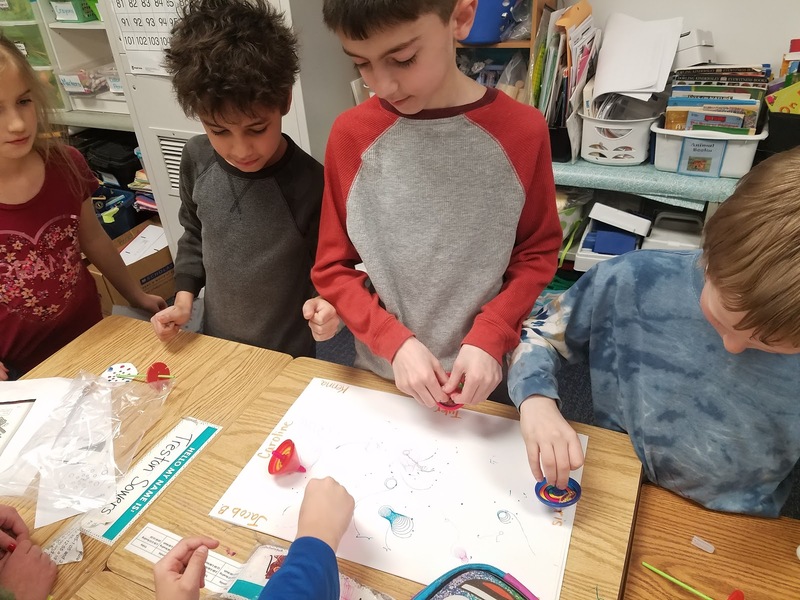 The theme of the past 2 Fridays has centralized around Earth Day, and I have encouraged the kids to create something upcycled. We had a 1/2 day on Friday, so I chose to dedicate the entire morning to upcycled fun! Students created pillows after reusing stuffed animal materials and old clothes, while others created games. Interestingly, there were a lot of pretend play creations involving puppets! Our central administration staff came through my room on a visit, and our superintendent gave the best complement of all..."This is what good instruction looks like!" 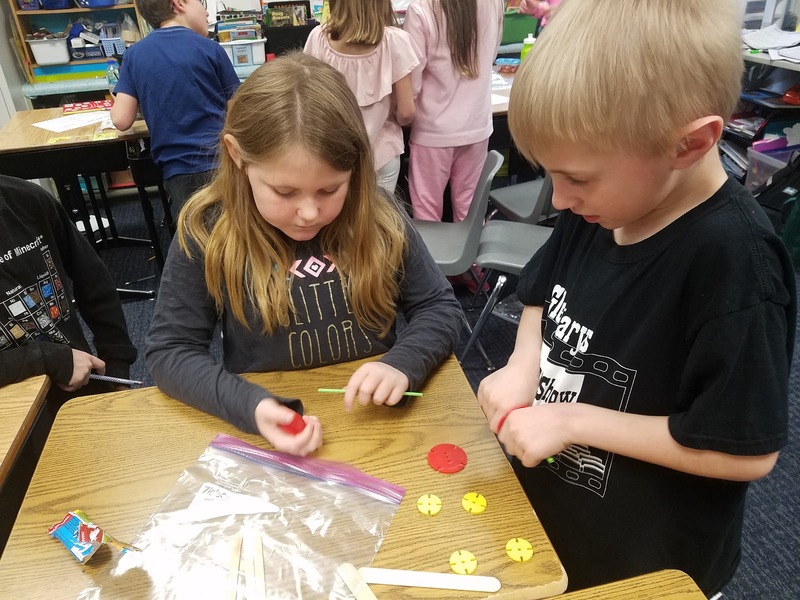 Yes, it is great when you give the control over to the students to be able to create, learn, and grow! 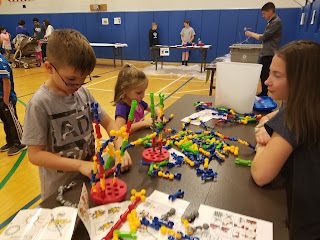 The week ended with a family evening event at our school. I was part of the committee to put it on, and it was an awesome, awesome night! 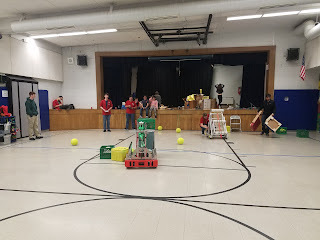 We had stations all over our school involving robotics, art, medical science, engineering, chemistry, and more! One of the more popular rooms was the BreakOut EDU room, which was a first at Glengary! Families had so much fun completing the challenges, learning the science behind things, and experiencing learning together. That is probably what stood out to me most was the joy families had with each other while going from station to station. Check out the some of the photos below! 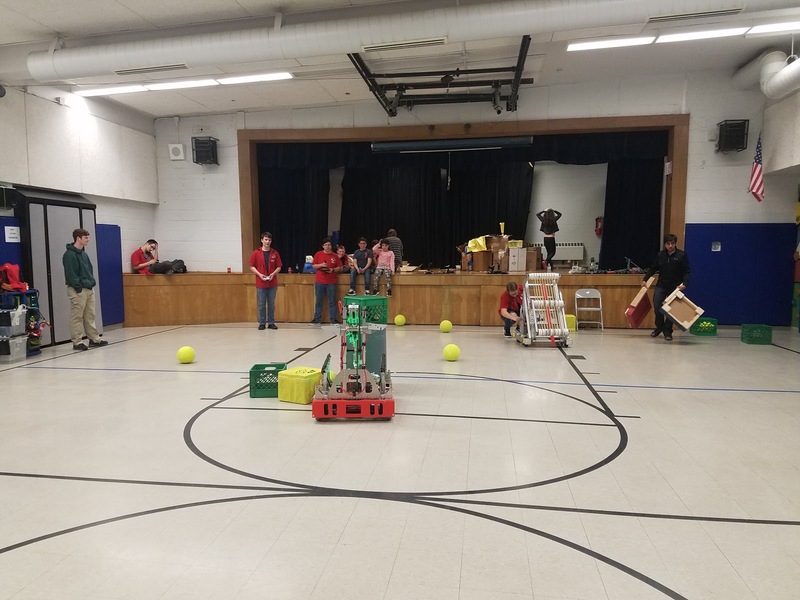 The Walled Lake Robotics Team Shared Their Creations! Grateful for the Support on My 3 Day Journey! I could not have made it through the 3 Day experience on my own. The support from others made it possible. First, my husband was in my head constantly. He had talked to me throughout training and assured me I was going to be tough enough. The support of my kiddos was great too, and I loved seeing them at one of the cheering stations complete with signs! In addition, my parents even made it out to the family night at camp! In fact, I think my mom is even going to give it a shot next year with the 20 mile walk! "Pain goes away but the feeling of accomplishment will be felt forever!" It was very much needed, as I had a lot of pain, but was looking forward to the accomplishment! In fact, I often visualized the pride I would feel crossing the finish...which (each time) brought tears to my eyes throughout the walk. Thanks Brandon for being my #1 supporter!! From start to finish, there were people cheering, giving high fives, and dancing for us. There were people at every point offering snacks, sunscreen, tissue paper, popsicles, much needed ibuprofen, and a slew of other appreciated treats! People honked their horns and waved or yelled out words of encouragement. There were pit stops and grab and gos along the route which gave us something to look forward to. The police on the route, as well as the intersection motorcycle helpers were awesome. 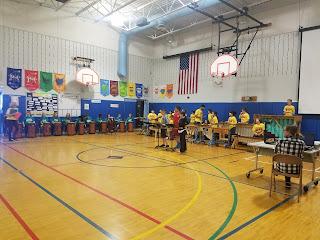 They played music, cheered us on, and even thanked us for our efforts. All of this support and the people throughout the routes made it worth it! To kick off our walk in Walled Lake, Sheri, a friend of some of our teammates, gave each of us a Starbucks gift card for the walk! We enjoyed using it while walking through downtown Northville! Thanks Sheri! Then another friend of 2 of our teammates became our #1 Fan of the day! Erica traveled with us all over Walled Lake and Novi, with her younger son in tow. She cheered, honked her horn continuously, and even serenaded us with inspirational songs nearly the whole morning. It made us smile and giggle each time she popped up...but mostly it made us feel encouraged! Thanks Erica! She shared the road with some other important vehicles...the sweeper vans! They were essential as well, as each van was thematically decorated and constantly honked, cheered, and even cow belled! They were also there to check on us to make sure we were OK, remind us to drink water, and be there if anyone needed a ride! Another way we felt encouraged was through music, and dancing became a nice way to break up the walking or distract us from the pain and/or exhaustion. There were several women along the route playing awesome music and dancing. Music kept me motivated, especially when we danced through intersections with the motorcycle helpers. It made it more fun to wait for the lights to change or give us a beat to stretch to! I appreciated the trail angels! One guy, that I called The Medicine Man, had a table stocked with all essential items including ibuprofen and tylenol in small condiment containers, sunscreen, GasX, Tums, blister bandaids, tampons, and so much more. He placed himself at about 4 stops each day, and he was such a welcome sight! We chatted with him each time! 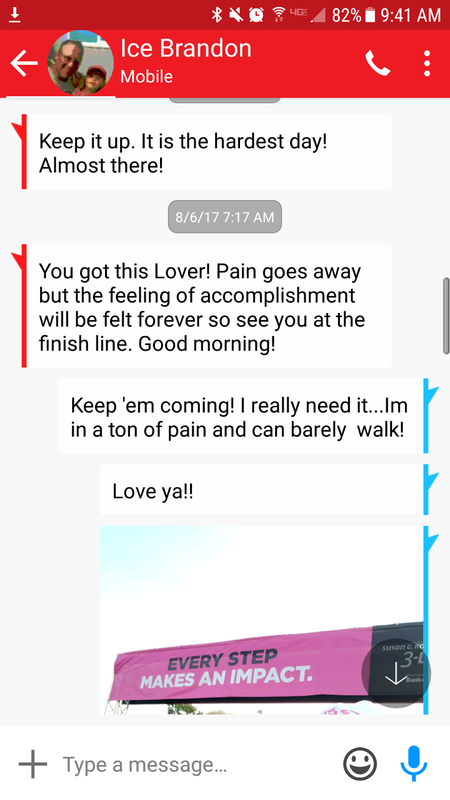 My fellow teammate Amanda struggled with blisters from day 1, and he was sooooo proud of her at the end. He came up to her and gave her a huge hug, as he really didn’t expect to see her finish all 60 miles. We so appreciated his gifts...including an ice cold one on the final day of the walk! In addition to him, there were people along the route offerenting water, snacks, candy, bathrooms, and even some extra special adult treats! The best was a Dearborn neighborhood that went ALL OUT! We were in awe of how they came together to show their support and have fun! Boy did it help! The people coming out to support us from family to friends and the 3 Day Staff to strangers, made it possible for me to walk all 60 miles...even when the pain seemed unbearable. They were able to make me smile and make it worth doing. 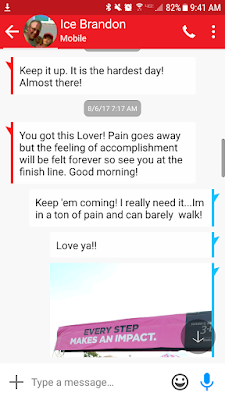 Finally a huge thank-you to my teammates “The Girls” for encouraging me, telling me they were proud of me, and sometimes being more patient and waiting. It was so awesome to truly feel like a team throughout the 3 Day journey! I enjoyed getting to know them better and share this wonderful experience with them! Thanks for reading! I have one more entry to publish reflecting on the internal strength needed and gained from my 3 day journey! Stay tuned! Over the last 3 years, I have had 3 of my childhood friends diagnosed and treated for breast cancer. When I went to get my first mammogram last year at age 40, the technician told me jokingly I should get new friends, as we are out of the range of normal occurrences. Since my friendships aren’t going anywhere, I knew we had to tune a bit more into this awful cancer. One of my friends Katie, diagnosed last October, decided she would like to do the Susan G. Komen 3 Day Walk this year. I decided that it would be the least I could do, so I registered to walk. Not being a person who formally exercises, I was a bit nervous for the daunting 60 miles! I began training here and there during the spring months, and kicked it up a bit once the school year came to an end. My fundraising proved to also be a bit daunting, but I received a lot of donations when my friend Laura was unable to walk and transferred her donations to my account. Without this, I probably would not have been able to raise the $2300 needed. In addition to her funds, I had many supportive friends, family, and colleagues that also donated. It has now been 10 days since closing ceremonies, and I still keep finding myself going back into the pink bubble of the 3 Day, so I decided to share some of my biggest takeaways from my rookie experience at the Michigan Susan G. Komen 3 Day Walk! George was a super star walker! At opening ceremonies you are given a special lanyard if you are a first time walker. In addition, you get a special button that says, this is my FIRST walk! If you are not a first time walker, you can fill in the number of walks you have been on. One of the first people I met had on a button that said it was his 50th walk! I was shocked! He told me that he walked all 14 walks in 2011. I thought he was a rarity, but as I walked and talked, I met several people that do multiple walks each year. In fact, I know some of the walkers I met along the route are gearing up for another walk this weekend in the Twin Cities. (Note...my feet still aren’t back to normal. I couldn’t even imagine doing it all over again!) I am so inspired by their commitment to the Susan G. Komen organization. 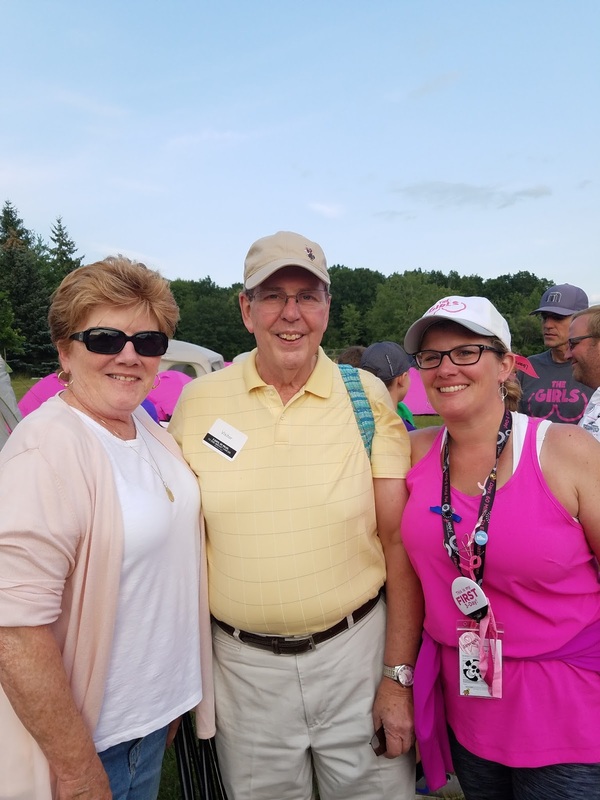 In fact, Jim Hillmann, the man I met at opening ceremonies, actually was awarded a milestone award at camp celebrating his 50th walk! And then there’s a man named George Nummer who is an 85 year-old celebrity walker! Check out a local news story featuring him here. When I learned that the opening ceremonies were going to be at Walled Lake Western, I was excited that the school district that I worked in would be a part of my 3 Day experience! In addition, my fellow teammate’s husband is the principal there! After we left WLW after the opening ceremonies, we were able to pass our administration building, which had many people outside cheering, offering candy and water, as well as the WLW cheerleaders! We were able to have one of our pit stops at Meadowbrook Elementary too! There are so many things that I learned about myself and this experience...too much for just one blog entry. Stay tuned shortly for Part 2 of my blog series on Reflections of the Michigan 3 Day focusing on the support I received from others! 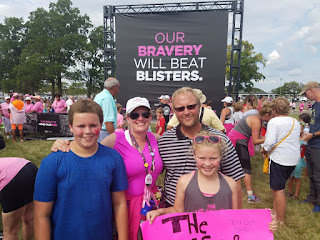 All summer I have been training for the Susan G. Komen Michigan 3 Day Walk which just commenced yesterday! Walking a total of 60 miles throughout towns including Walled Lake, Novi, Northville, Plymouth, Livonia, and Dearborn, I had to spend much of my summer prepping for the the walk. Living out in Hamburg Township, I had a lot of great roads to train on for the shorter miles, but as I got into longer walks, I decided it would be best to have access to public restrooms. Therefore, in July I began using Brighton for my training walks. While walking, I spotted many things I have never noticed before. There are streets that I have drove down hundreds of times in the 15 years I have lived here, and yet, it was like I was seeing things for the first time. It showed me the importance and the joy of slowing down and taking sights in! As Brighton is gearing up to celebrate its 150th Birthday this Sunday, I thought it would be neat to show you some of the things I found neat during my walks! To help celebrate the 150th Birthday, there are images of some of interesting people from back in the day, and each one includes information about the person! It has been so cool learning about them as I walked around around town. I was able to stroll down Main St. before the Taste of Brighton opened up, and I got to see all the hard work that went into making it such a wonderful event for our community! I also walked through the streets when the festival was in high gear. It motivated me to have a date night with my husband there later on that evening! I sing in the worship band at Brighton First United Methodist, and I tracked down one of our band members (who is heading into his senior year at BHS) at the Farmer’s Market. It was such a treat to see his talents shared with the folks shopping from tent to tent! Great job Parker! On this particular day, I started and finished my walk in the Target parking lot. On my way back down Charles H Orndorf Dr., I noticed the sign below. I was so curious about it, as I had never noticed it before. The sign states that you need to authorization to enter, so I followed the rules and just peeked in. However, upon extra research on the web, I found out it is open to the public and owned by the Brighton Library! My husband and I took the trail on one of my last training walks, but I wasn’t able to go all the way through, as I didn’t want to get my shoes mucky in the marsh. Maybe next time! In the past couple of years, Brighton First United Methodist has adopted the residents of Mill Pond Manor apartments. For the life of me, I never really knew where it was. I kept thinking about apartments right near the Imagination Station or somewhere in that main area and never could quite picture it. I am embarrassed to say, it took me walking down 2nd St. several times to make the connection that it was there! On the walks previous, I was always noticing how much property Corrigan Oil had and also how they have expanded into other areas of expertise outside of the propane world. When I finally went on the opposite side of the street, I noticed a cute gazebo, and only then did I notice the sign saying Mill Pond Manor Apartments. Glad I know where it is now!! My family and I took a hike at the Brighton State Rec Area’s Penosha Trail on 4th of July weekend. The Penosha Trail is around 5 or 6 miles, so it makes a great 2-3 hour hike! We were able to stop at Bishop Lake and check out the new Jump Island. Along the trail we enjoyed looking at the wildflowers, and my kids enjoyed finding a lean house! Though my 3 Day training has come to an end, I still hope to keep up my explorations of Brighton. We have a wonderful community, and I look forward to finding other treasures along the way! Happy 150th Birthday Brighton! Thanks for being a big part of my #Mi3Day journey! 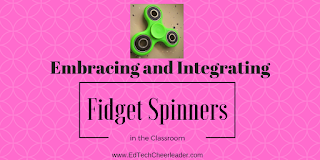 The fidget spinner craze has entered my classroom and my home, and I imagine, based on the ads and Facebook shares, they have also entered your world too! I have heard from parents and teachers that many of them have been taken away and most people are annoyed with it. 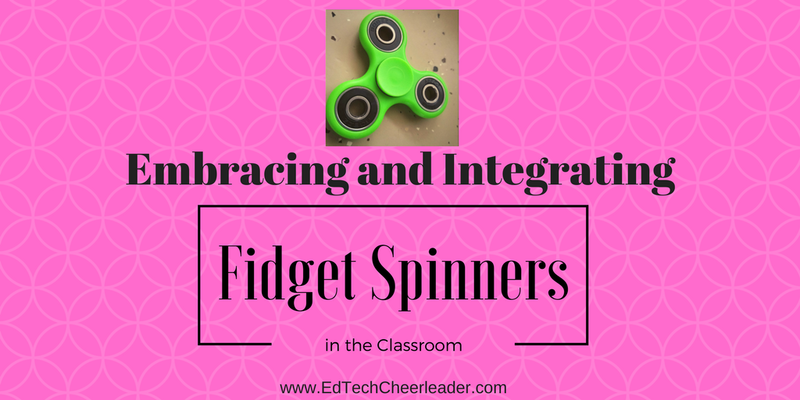 I’m here to offer a few suggestions to embrace this craze and integrate it with learning! Skip count by a certain number and see how high you can get before it stops spinning. Since my students need to have their multiplication facts memorized by the end of the year, skip counting is a skill they can all use to practice. 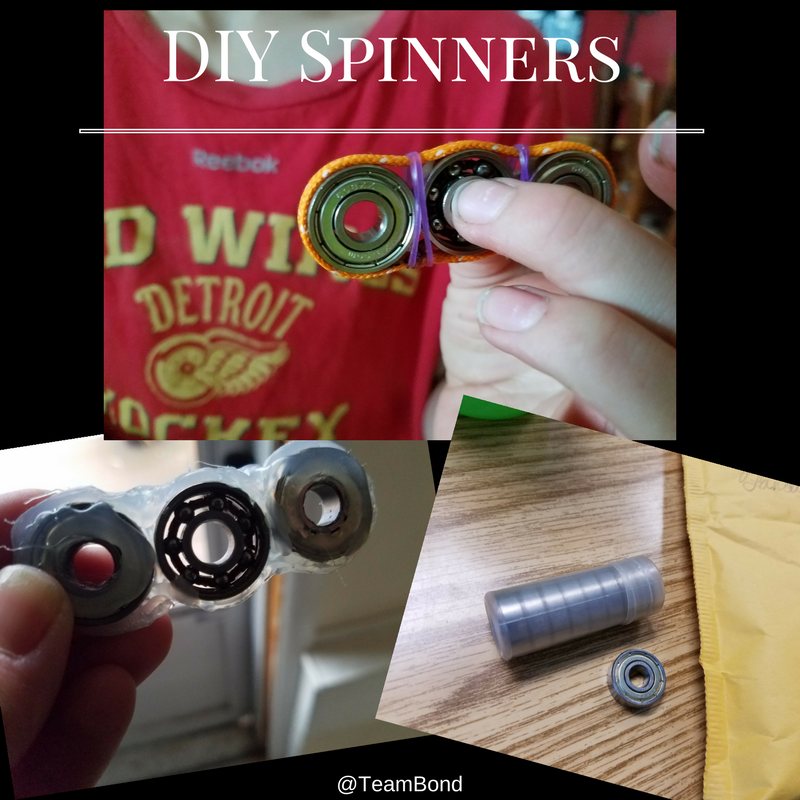 My cousin 3-D printed a spinner for my own kids in January, and then one of my students made one in his garage just cutting and sanding heavy plastic. This led to him thinking of other ways to create them, and he even used an old toy to recreate it into a spinner. After that, I got excited and bought a bunch of bearings for my students to create their own. Even with a bit of hot glue, you can make things work. My son made this by hot gluing pennies together and then gluing them to the bearing. 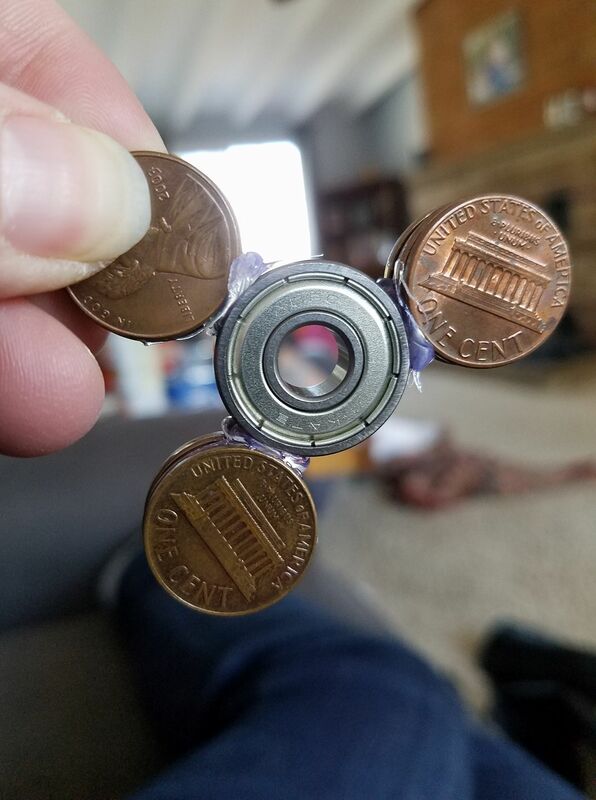 Update...and my kids have just shared with me that they are also good to spin on other body parts. Here is my daughter sharing her nose balancing skills! My 3rd grade classroom at Glengary Elementary is participating in the Inventor’s Challenge sponsored by the Imagination Foundation and AT&T Aspire. We launched the challenge by brainstorming What If’s and actually presented them in the January #PasstheScopeEdu event on Periscope. Here are some slides on our Inventor's Challenge if you want to take a peek. A few weeks ago the challenge launched, and we began the process of inventing. I would like to highlight one story from our first day of inventing! 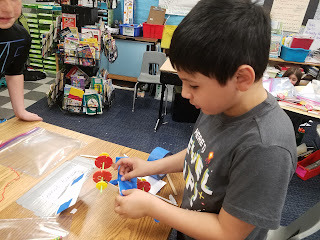 I was sitting at my desk, and I overhead one of my students say, “Hmmm…how can I attach this?” I looked over and saw CR trying to attach a blown up fold-top baggie on a white t-shirt she had decorated. I asked her what she was trying to do, and she told me that she was trying to get the shirt to fly so people wouldn’t have to be stuck in traffic. I wished her good luck with the invention. Next, I noticed she realized the fold-top baggies were not keeping in the air, so she went and got ziplock baggies. She was super excited to fix the issue of air escaping. She blew them up and started thinking about the placement when another student started a discussion with her about helium gas. Knowing she didn’t have access to helium, she moved on to a different idea. Again, I heard her say, “Hmmm. How can I attached these?” I looked at her and saw her trying to figure out how to attached small flat batteries to the shirt. I asked her what she was trying to do, and she went on to tell me that she was hoping that the stored energy in the battery to help give the shirt the energy to fly. She also had part of a circuit board that was from a DVD the some students had disassembled earlier in the year. 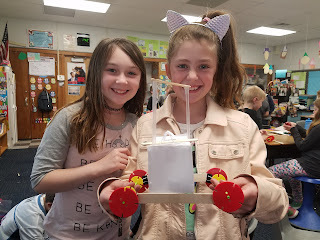 She was trying to figure out how she could connect the energy to the board to see if there were any motors, as she thought that could be part of the solution to make the shirt fly. She tried and tinkered with it a bit, but our Passion Time ran out without much progress. As her teacher, I was able to witness many curricular connections through her tinkering. 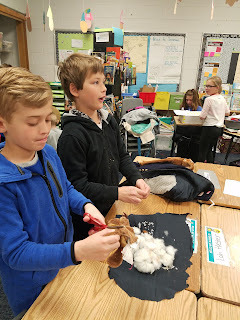 CR was able to compare baggies and find one that sealed in air better. She learned about the difference in gases…and the capabilities of helium. Her knowledge of batteries having stored energy was evident, and she realized that the circuit was in need of power in order to do work. Since we were at the end of our unit of Energy and Matter, I was able to see that CR had acquired knowledge from our unit. I was able to assess her without giving a test…just through questioning her while she played essentially. Though she may not be successful making a shirt that flies, she has shown me success with her problem solving, her ability to redesign, and her basic knowledge of energy! I believe we can do a lot more assessing through play if we pay attention to our kiddos and engage with them! I challenge you to pay attention to play and see what skills you can assess. I bet there are many! Here is a quick video with her reflections on her flying shirt invention. 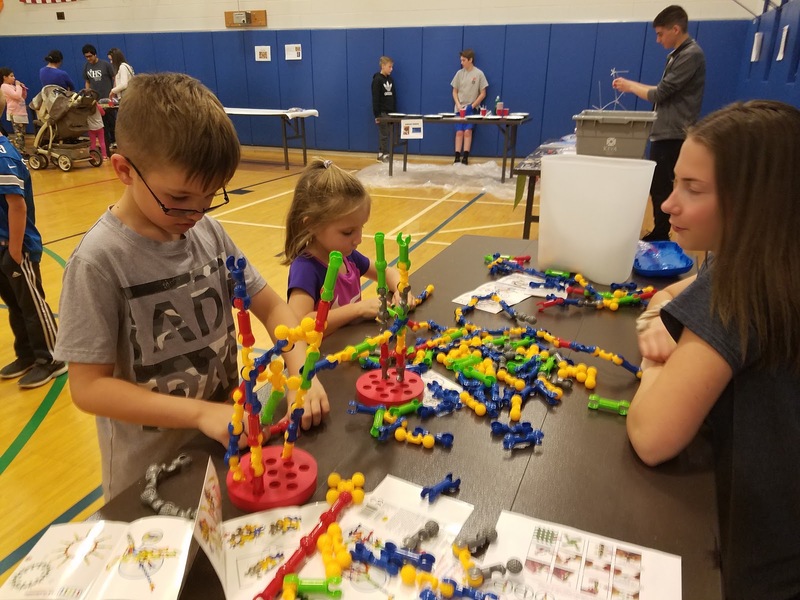 If you would like more information how your students or your child can participating in the Inventor’s Challenge, check out www.imaginaiton.is. A couple of weeks ago, I was contacted by Roger Wagner, the creator of Hyper Studio, to introduce me to his latest project...HyperDuino. 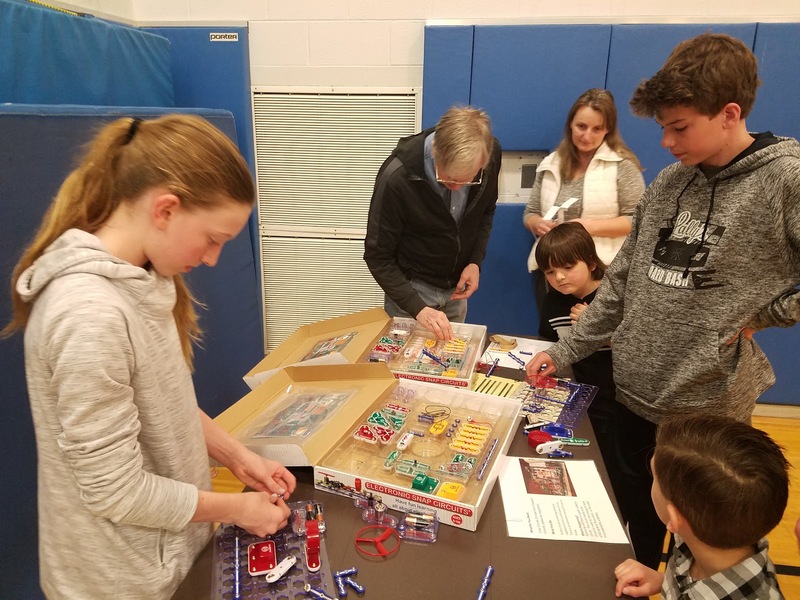 I am typically very tuned into new products in the STEAM/Makerspace world, but I had not experienced HyperDuino before. I jumped at the chance to explore it with my third graders, and Roger jumped right in and sent me one within days of our first contact! I went ahead and opened it up in front of my students, while they were sitting on the carpet, and we explored it together. My students and I were really excited to jump in and see what the HyperDuino could do. Fortunately, Roger has amazing tutorials on his webpage, and he had a specific one for getting started right away with a simple project using the touch sensors and LED lights. As we were connecting the wires, it gave me a great opportunity to reinforce our unit on energy and the transfer of energy. Often kids think that wires have electricity flowing through them at all times, but I was able to point out to them that the wires serve as a means to transfer energy. We hadn't connected the battery yet, so no power was flowing through them. Once we got it all set up, the kids enjoyed taking turns pressing the touch sensors and seeing the lights light up. We also noticed that sometimes when I talked (the touch sensors were inches from my mouth) the lights would illuminate, which allowed us to talk about things that conduct electricity...including the water vapor in my breath! 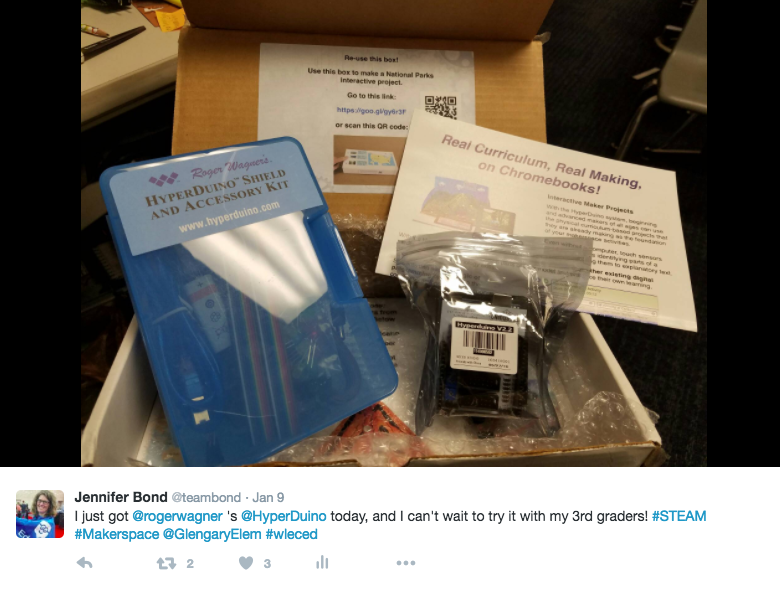 Last week I got another kit sent to me...this time with a project already started for my kiddos. Roger prepared it for a National Park Project, complete with photos of how to set it up and his own handwriting! Included were also packets of how-to instructions to walk us through each step of the project! Now I know this is a product that is still in the launching phase, but I actually think there is something to be said about delivering a product slightly ready with an example, as it helped me see the potential right away! The great thing is, I have done Michigan State Park reports in the past and after seeing this example, I believe I know how I will be tackling that project this year! Another great thing about having it shipped to me ready to go like this, I was able to share it with my colleagues right away! I also think it made it look user friendly and doable for teachers. I think I have even convinced my ELL teacher to do a small group project to frontload our next science unit with the third graders using the HyperDuino! All I can say is kudos to Roger Wagner for knowing how to win over teachers! Not with fancy swag, but with a great product and awesome support to get started! I can't wait to see how much fun my students and I can have integrating the HyperDuino with our making, researching, and learning! For more information on how you can get a HyperDuino, check out the HyperDuino Store! 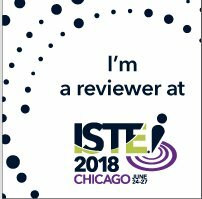 I Reviewed ISTE 2018 Proposals! 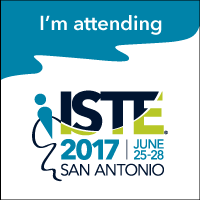 Cheers to My 6th ISTE! 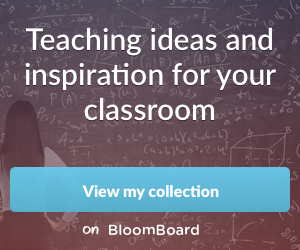 Check out my featured collections! 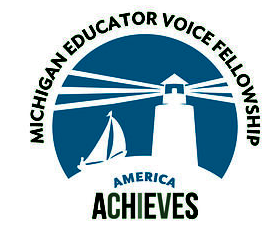 I'm a Michigan Educator Voice Fellow! Contact me if you would like Edmodo training!